The activity of a single gene sets in motion some of the brain changes seen in depression, according to a new study. The finding suggests a promising target for potential therapies. People with major depressive disorder, or major depression, have feelings of sadness, loss, anger or frustration that interfere with daily life for weeks or longer. The symptoms of depression also include memory loss and trouble thinking. Past studies have found that people with major depression have brains that are physically different from those of non-depressed people. The depressed brain has a smaller prefrontal cortex, a region at the front of the brain that handles emotion and complicated thought. The area also has fewer and smaller neurons (nerve cells) in the depressed brain. To gain insight into the neural mechanisms at work, a group led by Dr. Ronald Duman of Yale University began with data collected in a previous study. They had done a comparison of postmortem brains from 15 depressed people and 15 non-depressed people who were matched in age, ethnicity and gender. Using DNA microarray chips to analyze the activity of 20,000 genes, the researchers had found numerous genes that were expressed (turned on and off) differently in the brains of depressed people. For the new study, the team focused specifically on genes related to synapses, the place where signals pass from one neuron to another. The work was funded in part by NIH's National Institute of Mental Health (NIMH) and National Center for Research Resources (NCRR). 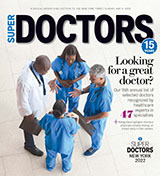 The findings were published in the September 2012 issue of Nature Medicine. Analysis revealed that about 30% of the genes with significantly lower expression in the depressed brains related to some aspect of synapse function. Further experiments found significantly reduced expression for 5 particular genes in the prefrontal cortex of depressed people. The scientists searched for transcription factors-proteins that bind to the DNA of other genes to turn them on or off-that were capable of regulating the 5 genes. They found one called GATA1 that is expressed significantly more in the brains of people with major depressive disorder. Expression of the Gata1 gene in the prefrontal cortex was also higher in a rat model of depression. Raising expression of Gata1 in cultured rat neurons decreased the expression of synapse-related genes. It also decreased the number of connections between neurons, supporting the idea that higher Gata1expression can lead to the changes seen in depressed brains. The researchers next tested the gene in rats and found that putting extra copies of Gata1 into their brains made them behave as if they were depressed. "We show that circuits normally involved in emotion, as well as cognition, are disrupted when this single transcription factor is activated," Duman explains. These findings may point toward a new target for treatment. "We hope that by enhancing synaptic connections, either with novel medications or behavioral interventions, we can develop more effective antidepressant therapies," says Duman.